When we talk about the standards of living and the ways to improve the everyday experience of people, we can consider banks as a commercial driving force. They give people simple and efficient means for solving their needs. Great competition between bank institutions makes these organizations think of how to improve relationships with their current and future clients to become market leaders. What can become the most valuable investment for an average bank to gain greater clients’ loyalty? CRM takes the fourth place to get the greatest investments in 2019. Businesses realize that this tool will become a reasonable investment that will help them gain more profit. What is CRM in banking? The goal of any CRM in any niche is combining technology and human resources to meet the expectations of the customers or even predict them for the nearest future. There’s strong need to collect and process big amounts of information. You will need a good CRM to decide how you can use this information and for what purposes. Banks store the data about people at all stages of their life. There are various bank solutions and products that will meet the people’s needs or solve their problems anyhow. We can take such common samples as mortgages or IRAs. To successfully sell these products, there’s a need to use different ways of communicating with clients like emails, voice calls, push notifications, advertisements and so on. These means of communication are implemented with the help of a pack of separate tools. This makes the work of the bank staff focused more on keeping all the data in order and this takes a lot of time. CRM aims at uniting all these means into one solution that can be accessed at any time. All the information is available on demand. A good structure of automated campaigns let the staff focus on clients more than on solving everyday administrative tasks. In a current banking niche, there’s a need to reach and go further the quality of customer experience provided by Facebook, Amazon, Apple or other worldwide companies. We have a Digital Banking Report where we can see that there’s a strong need to lower the expenses that are spent on the technology used for improving the customer experience. And there’s a need to improve this experience. Banks require efficient tools that will provide them with the customers’ insights in real time. According to the data provided by the State of Financial Marketing report, only 20% of banks have such tools by hand. We are sure that customized CRM will improve the productivity of work and let the bank gain more profit in an efficient way. 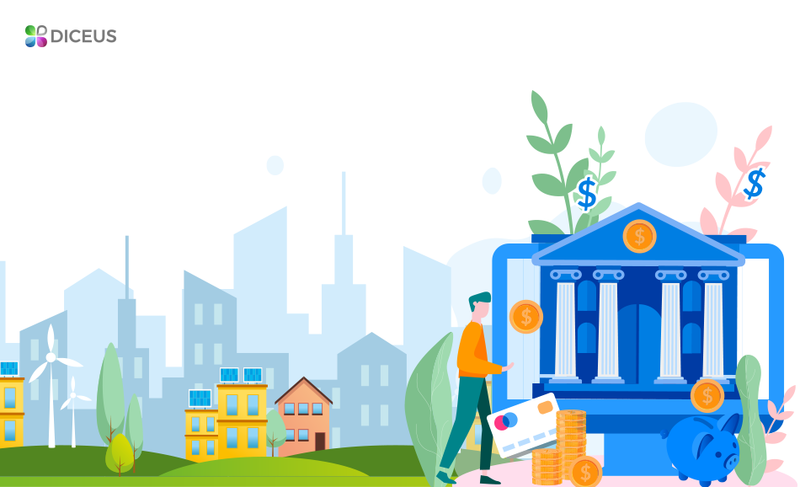 When you have an idea in mind of the efficiency of CRM in banking niche, it’s time to take a close look at the key features of CRM software that you can benefit from. You get a 360-degree view of each client with their preferences, habits, social status and so on. You will also see the history of transactions to know how the clients like to spend money. You will see the sums, the frequency of the purchases and if there was a need to get some cash. You may see that some payments are regular or depend on the season. You will know everything about each client. You will know where they have come from, the history of all the contracts, operations, transactions, if there were any loans or mortgages, etc. You will also see the reaction of the clients to your marketing campaigns - this will let you measure their efficiency. You find the best ways to attract new people, turn them into leads and happy clients in the future. You have automated funnels that will let you focus on other things while the software will provide you with a set of emails, notifications at a specific time and date to get the greatest reach. It will let you test new ideas and see the results in real time. If you have a customer profile, you may predict what kind of products they will need in a year, in five or ten years. You will have your clients divided into categories that will have a specific behavior and reaction to your communication attempts. This information will let you calculate the efficiency of marketing campaigns before you start them. You will forecast the conversion rate and the revenue the bank will gain within a specific period of time. It’s easier to assess the work of each bank employee and evaluate their progress. You see how each person interacts with the clients and you can see the result of each case in real time. This lets the bank management train staff on demand and put clear goals that can be achieved by the whole team. CRM helps banks improve communication and interaction with customers. There are three types of CRM that collect and process information about clients. They provide you with the analytical data and forecasts about future revenues. They are Operational, Analytical and Collaborative software. Scroll down to see more details about each of them. This type of CRM is focused on automating sales, marketing, and service operations. This automation enhances lead generation and further conversion into customers of the bank. Sales automation is all about making the processes smooth. There’s one pipeline for the organization to attract new clients and cooperate with the current ones. 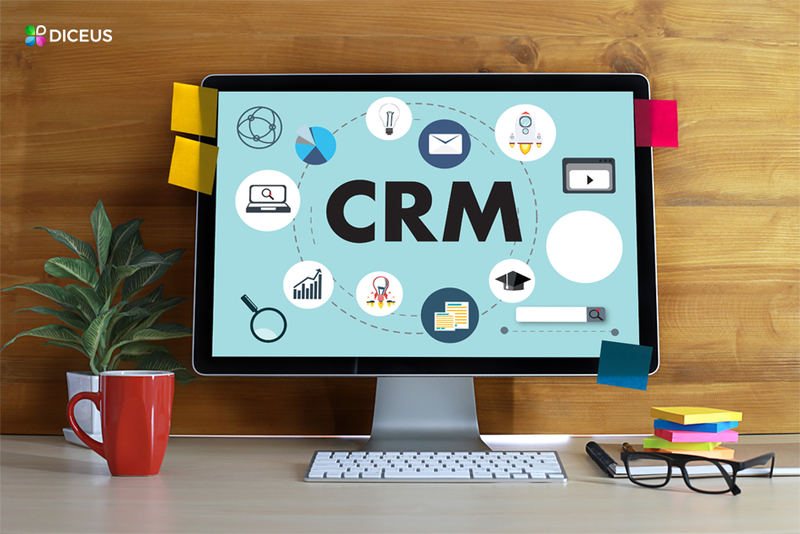 The use of CRM makes it possible to increase sales thanks to some features like leade management, sales predictions, contacts management and so on. Marketing automation provides solutions for the best customer approach and the most appropriate ways to sell products. There’s a key feature of this type of CRM - it’s the management of the campaigns. You get efficient tools for reaching future clients via emails, calls, meetings and social media. Service automation lets the banks build strong relationships with their clients. The goal of automating the services is predicting and solving the clients’ problems. This will enhances interaction with the customers. 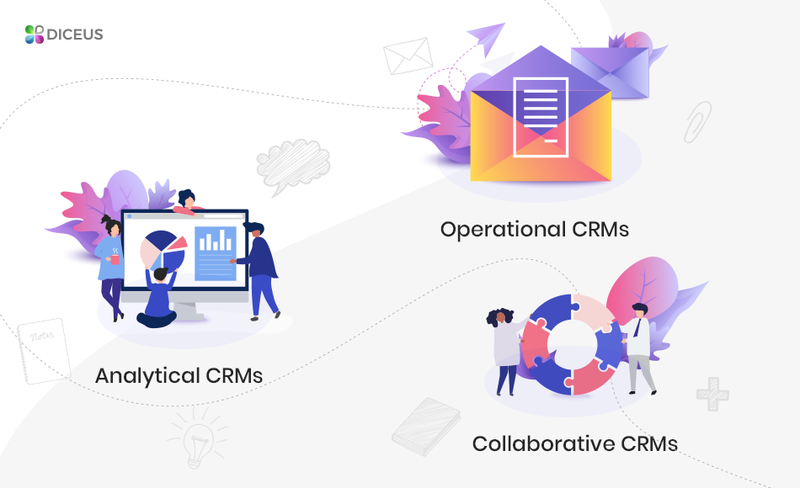 This type of CRM software is focused on finding the best ways to meet the needs of the clients by providing tools for sales, management, marketing, and support teams. It provides efficient options to analyze the data and process it to get good insights about what’s going on in a bank. This will help with decision making, choosing the route to follow, assessing the efficiency of the campaigns, train the staff to increase their productivity and create long-lasting interaction with the clients. This type of CRM is also well-known as strategic. It’s focused on the efficient collaboration of different departments of a bank with one and the same pieces of information. Here we mean the work of sales, support, marketing, and technical teams. A lot of banks have all these teams as separate blocks that don’t get in touch or solve any tasks. Collaborative CRM unites these blocks into one to let the teams access all the data about clients. This will lead to enhancing the services quality and gaining more loyalty. There are a lot of misconceptions related to the integration of CRM software into the daily operations in banks. Let’s take a look at the most well-known myths related to the topic and try to figure out if they are true or false. Myth: It’s expensive. Banks consider this software too costly because of the need to purchase a license, maintaining the hardware and all the software. There’s also a need to train the staff that will require costs and time. Truth: It’s cost-efficient. There are affordable variants provided by various CRM vendors. You may choose a customized variant where you will add as many features as you need without any unnecessary elements or blocks. Myth: It’s only for big banks. There’s a belief that only those banks with the overseas branches require CRM software to be used. Truth: Any banks that deal with clients require CRM to get the most from every interaction. This software will let you collect all the information and use it to gain more profit. Myth: It takes too much time. It seems that collecting all the information and saving it in the corresponding parts of the software is what distracts the staff from dealing with customers in real time. Truth: Storing the data in one location makes the access to it fast and painless. This makes any further interaction with the clients faster and more efficient. This data is available for any user from any device and location. Myth: It’s too complicated. Banks will require a lot of training programs to let the staff get started with the CRM. Truth: It’s essential to choose a reliable vendor that will provide you with a customized solution where you will have a user-friendly interface and fast processing of the data. Banks will not require having a separate IT department to maintain the CRM platform. 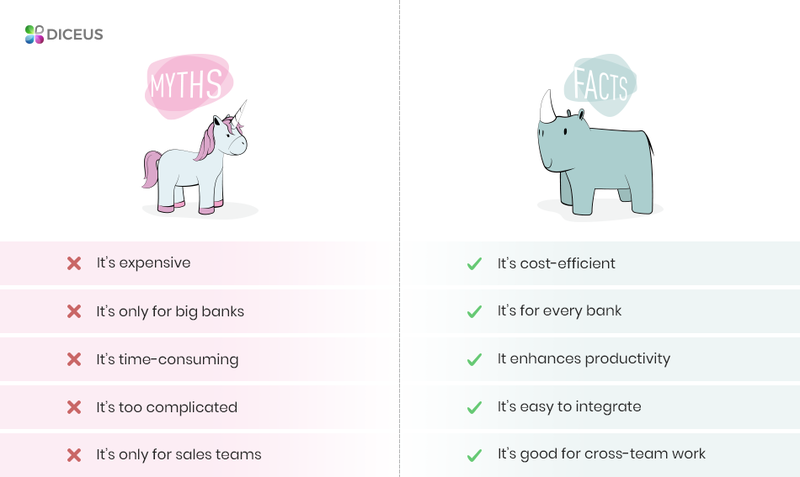 Myth: It’s only for sales teams. CRM can only provide value for sales departments of banks as it provides a high-quality client experience. Truth: Information about the clients is important for a support team and for the management of the banks to make accurate forecasts and make proper decisions. How to choose the best CRM for banks? The right choice of CRM platform defines the overall success. 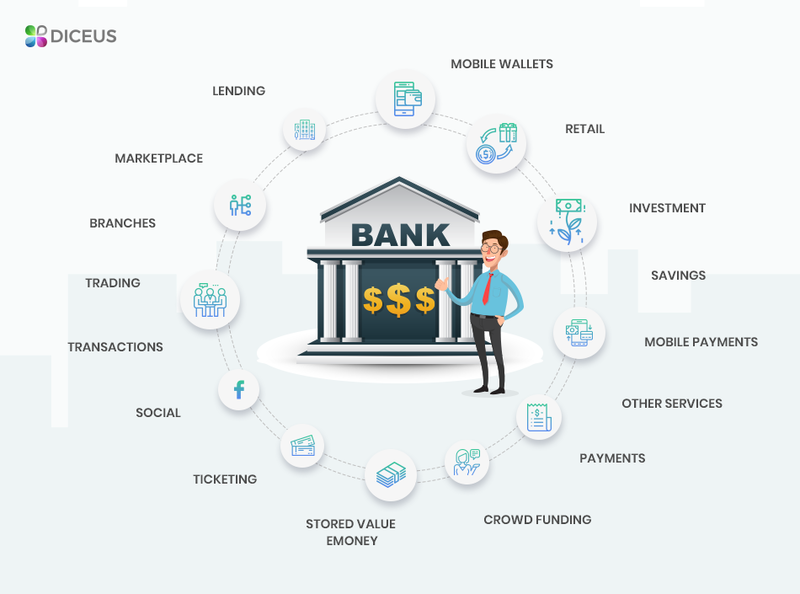 There are ready-to-use solutions and the ones that are built for each bank individually. You may choose the one that will respond to your needs and help you reach all your commercial goals in the most efficient way. There are a few key things that will make the choice easy and efficient. It’s good if your teams can access the information from any device and any location. So it’s good to have a web interface. There should be a gradation of access levels from the minimum to a full one. It’s good if any document can be accessed and viewed with ease. You collect sensitive personal information about customers and you shouldn’t violate GDPR. So you should make sure that only bank employees can access the information. If you think of developing your bank into something more than you have now, you should consider such an option as scalability. What do you need to make this happen? How much cost and time will you spend on this? One of the possible options is choosing a SaaS model where you get all the software in a form of services. It’s good to evaluate the efficiency of the features and tools that are available in the chosen CRM software. Analyze how you will transfer your sales pipeline into the software to create the automated processes. You can also mind the visual attractiveness of the software interface and the way you perceive the data that is displayed. This is an important feature of any CRM platform that will provide you with an accurate analysis of the collected data. You will use it to craft accurate forecasts and you will rely on it when making decisions. See what kind of analytical features and tools the CRM software can offer. Diceus is a team of certified and experienced developers that offer reliable and efficient CRM solutions for banks. Years of work and happy clients prove that we deliver 100% result and meet the requirements and expectations of each client. Easy communication, a wide choice of options and efficient workflow let us provide only the best-quality products.